CONVERSE COUNTY, Wyo. — Wind farms in this corner of Wyoming have killed more than four dozen golden eagles since 2009, one of the deadliest places in the country of its kind. But so far, the companies operating industrial-sized turbines here and elsewhere that are killing eagles and other protected birds have yet to be fined or prosecuted – even though every death is a criminal violation. It’s a double standard that some Republicans in Congress said Tuesday they would examine after an Associated Press investigation revealed that the Obama administration has shielded the wind power industry from liability and helped keep the scope of the deaths secret. “We obviously don’t want to see indiscriminate killing of birds from any sort of energy production, yet the administration’s ridiculous inconsistencies begs questioning and clarity— clarity on why wind energy producers are let off the hook,” said Sen. David Vitter, R-La. “There are serious concerns that the Obama administration is not implementing this law fairly and equally,” said Jill Strait, a spokeswoman for the committee’s chairman, Rep. Doc Hastings, R-Wash.
Wind power, a pollution-free energy intended to ease global warming, is a cornerstone of President Barack Obama’s energy plan. His administration has championed a $1 billion-a-year tax break to the industry that has nearly doubled the amount of wind power in his first term. The result is a green industry that’s allowed to do not-so-green things. “We are all responsible for protecting our wildlife, even the largest of corporations,” Colorado U.S. Attorney David M. Gaouette said in 2009 when announcing Exxon Mobil had pleaded guilty and would pay $600,000 for killing 85 birds in five states, including Wyoming. But PacifiCorp also operates wind farms in the state, where at least 20 eagles have been found dead in recent years, according to corporate surveys submitted to the federal government and obtained by the AP. They’ve neither been fined nor prosecuted. A spokesman for PacifiCorp, which is a subsidiary of MidAmerican Energy Holdings Co. of Des Moines, Iowa, said that’s because its turbines may not be to blame. By not enforcing the law, the administration provides little incentive for companies to build wind farms where there are fewer birds. And while companies already operating turbines are supposed to avoid killing birds, in reality there’s little they can do once the windmills are spinning. 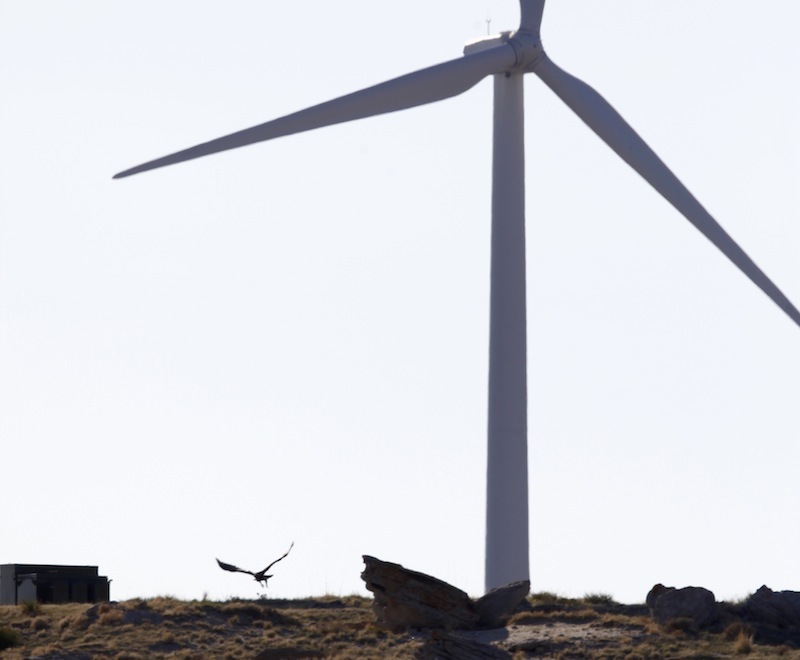 Eagle deaths have forced the Obama administration into a difficult choice between its unbridled support for wind energy and enforcing environmental laws that could slow the industry’s growth. That’s because without a long-term authorization to kill eagles, investors are less likely to finance an industry that’s violating the law. 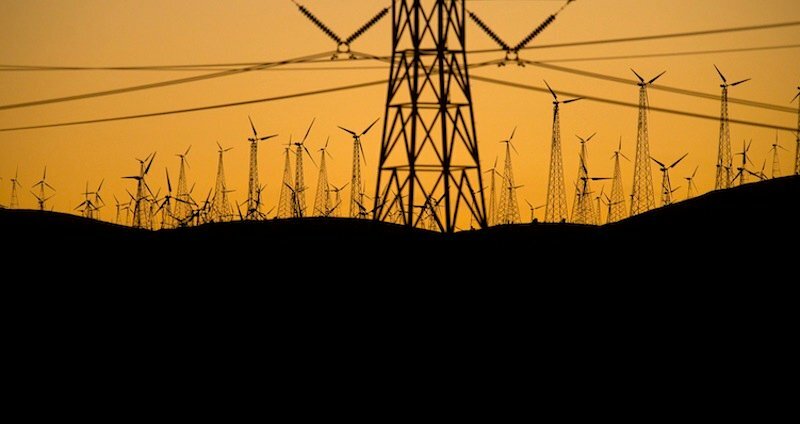 “It’s basically guaranteeing a black box for 30 years, and they’re saying ‘trust us for oversight.’ This is not the path forward,” said Katie Umekubo, a renewable energy attorney with the Natural Resources Defense Council and a former lawyer for the Fish and Wildlife Service. In private meetings with industry and government leaders in recent months, environmental groups have argued that the 30-year permit needed an in-depth environmental review. Those conservation groups that have been critical of the administration’s stance from the start, such as the American Bird Conservancy, have often been cut out of the behind-the-scenes discussions and struggled to obtain information on bird deaths at wind farms. “There are no seats at the exclusive decision-making table for groups that want the wind industry to be held accountable for the birds it kills,” said Kelly Fuller, who works on wind issues for the group. But under the Obama administration’s new guidelines, wind-energy companies — and only wind-energy companies — are held to a different standard. Their facilities don’t face additional scrutiny until they have a “significant adverse impact” on wildlife or habitat. But under both bird protection laws, any impact has to be addressed. The rare exception for one industry substantially weakened the government’s ability to enforce the law and ignited controversy inside the Interior Department. But officials acknowledge that their priority is cooperating with companies before wind farms are built to encourage them to be put where they won’t harm birds. Once they are built, there is little companies can do except shut down turbines or remove them — and that means reducing the amount of electricity they generate and violating deals struck with companies purchasing their electricity. In the meantime, birds continue to die. 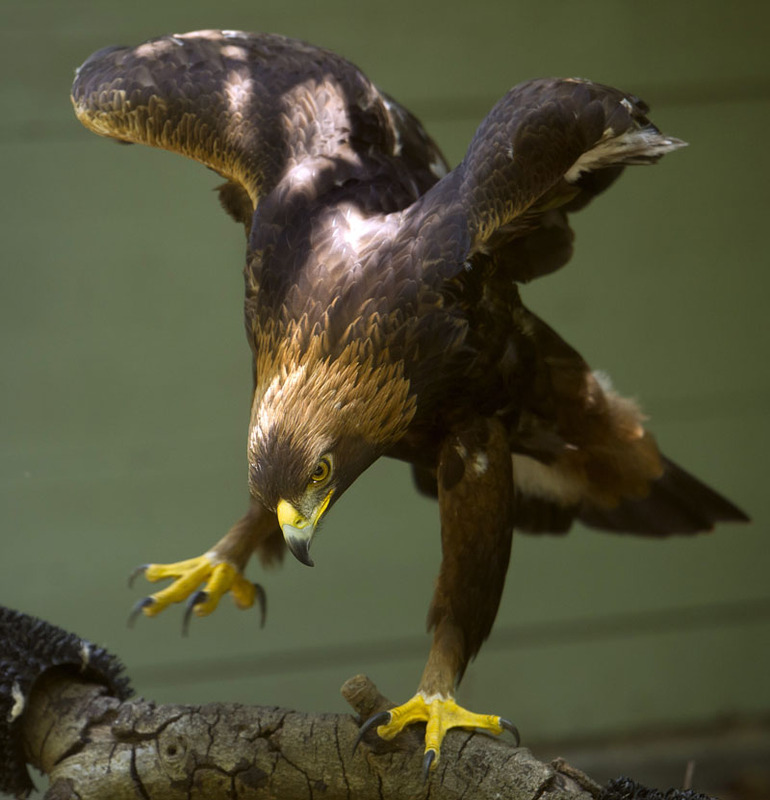 The golden eagle population in the West, prior to the wind energy boom, was declining so much that the government’s conservation goal in 2009 was not to allow the eagle population to decrease by a single bird. Ashe noted that the government doesn’t require other industrial facilities to disclose the numbers of birds they kill. Duke encourages workers to drive slower so as not to scare eagles from their roosts. They remove dead animals that eagles eat. And they’ve removed rock piles where the bird’s prey lives. They also keep internal data on every dead bird in order to determine whether these efforts are working. The company is also testing radar technology to detect eagles and is considering blaring loud noises to prevent the birds from flying into danger. The only other option is shutting off the turbines when eagles approach. And even that method hasn’t been scientifically proven to work.